Who is Angelo Sorbello and Why should You Care? If you had a constant and predictable way to generate high-quality leads and convert them into customers, each day. I launched my first online business when I was 13-years old. Yeah, it was pretty much a long time ago. It was 2007, Internet as we know it now didn't exist yet. Social media like Facebook were just starting. As you can imagine, I had no marketing budget or connections. That business I launched, without much luckiness, and tons of smart work and resourcefulness, eventually became one of the major video games magazine in Italy. It's true, I made some good money out of that, but this is not the point. The best thing I got from that experience, is that it made discover my immense passion (and obsession) for entrepreneurship and marketing. In the following years, I bought other companies, launched others. Some of these companies became a success, others not, but I never invested more than a few dollars on ads. Some of these companies became a success, others not, but I've always been on the lookout for the most cost-efficient strategies to drive growth. That's why I started my Digital Marketing consulting company, to help fellow marketers and entrepreneurs to take advantage of what has been working for my businesses and avoid time and budget consuming "hacks" or "tactics" that doesn't fit your overall goal. She had helped me jump-start my company when I didn't have enough money to pay for a decent accountant. This agency promised her the world when really, they delivered a Fiverr gig with a significant markup of different thousands of dollars. Another story of an under-delivered marketing service from an agency. I heard so many. Look I get it, my accountant couldn't understand what's best for her marketing and at what price. It's just not her job. Combining a transparent approach and a results-oriented approach, our goal is to put our customers at the center. No more guesswork and hour spent interviewing marketing freelancers or agencies, often culminating in hiring the wrong person for the job. Who Is Behind Our Company? Angelo Sorbello, CEO, of Astrogrowth is an Italian entrepreneur and marketer. He started his entrepreneurial career by launching a group of online magazines in Italy in 2007 when he was 13. In 2013 he sold that group and began studying at Bocconi University, where he later graduated in 2016. During his time in college, he started consulting for companies located in 6+ countries as a side hustle. 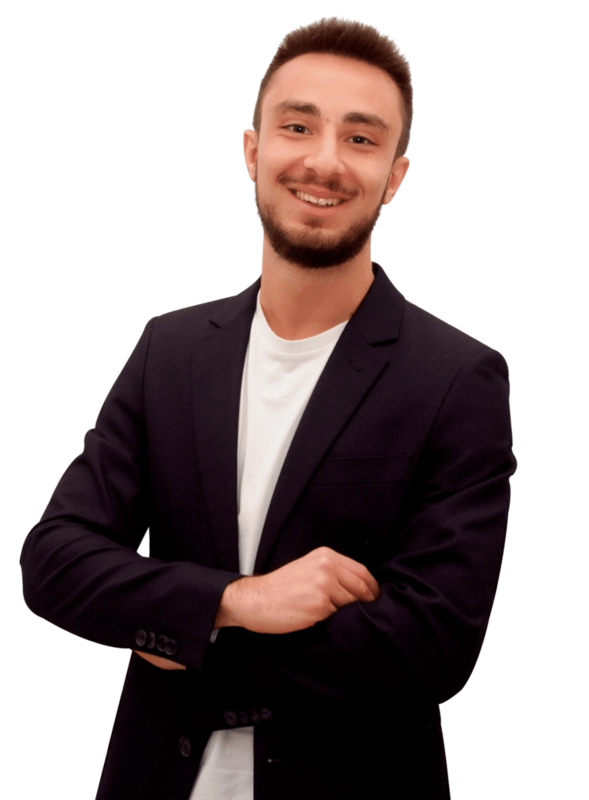 From 2018 he focuses full-time on his Astrogrowth and other online businesses.